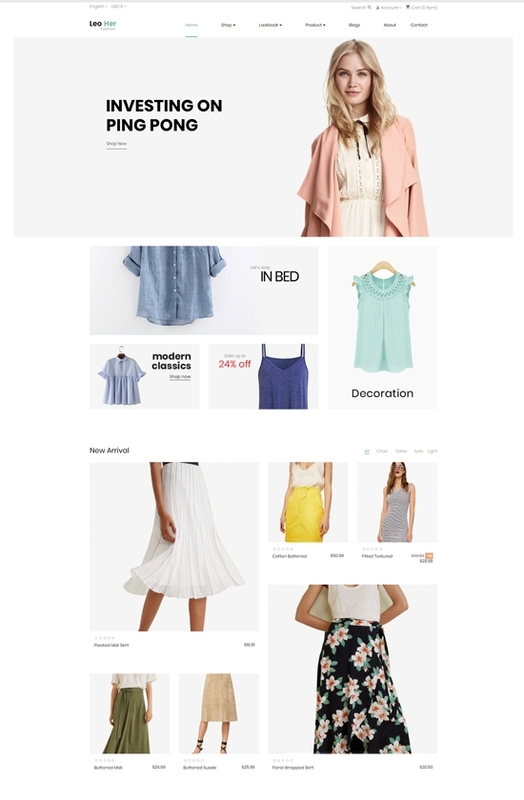 Leo Her is a premium Prestashop theme for the online clothing store, specially designed for women clothing stores. Leo Her is totally responsive to look stunning on all screens and devices. 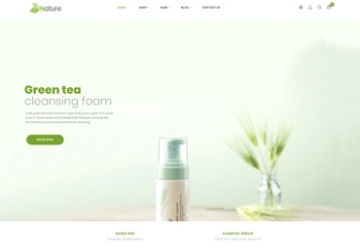 This responsive template contains all must-have and advanced features to meet any tough requirements of an eCommerce website. 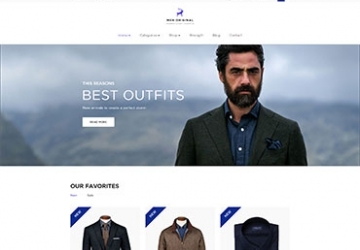 Leo Her Prestashop theme comes with clean, modern design, flexible layout with banners and products to make your site the best online clothing stores. Leo Slideshow module allows you to showcase the best of your store or trendy clothes, dresses on the large slide with smooth effects. 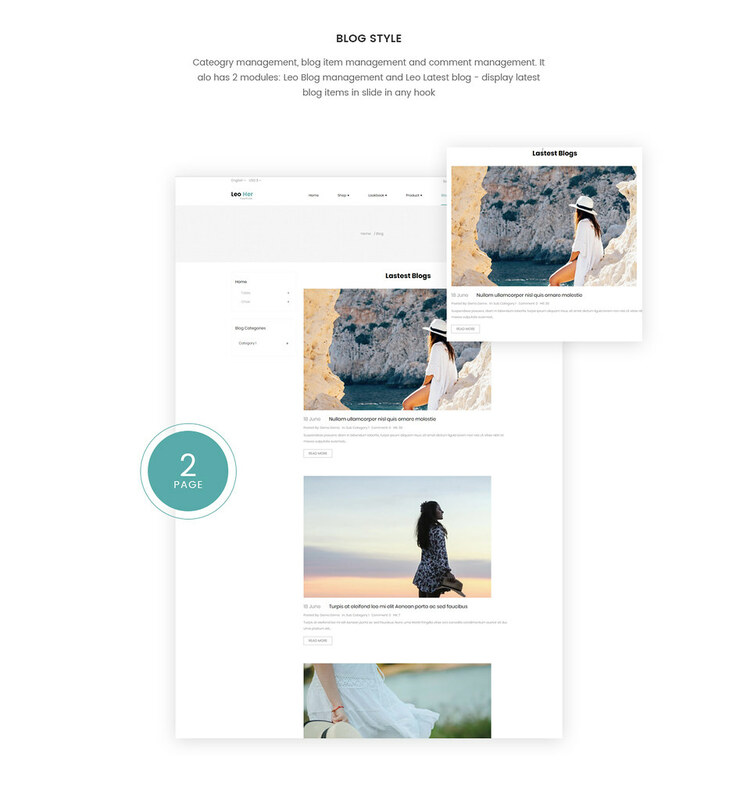 Moreover, Leo Her features powerful horizontal mega menu on the top center, where you can add products’ images, categories or subcategories to maximum your website’s functionalities. 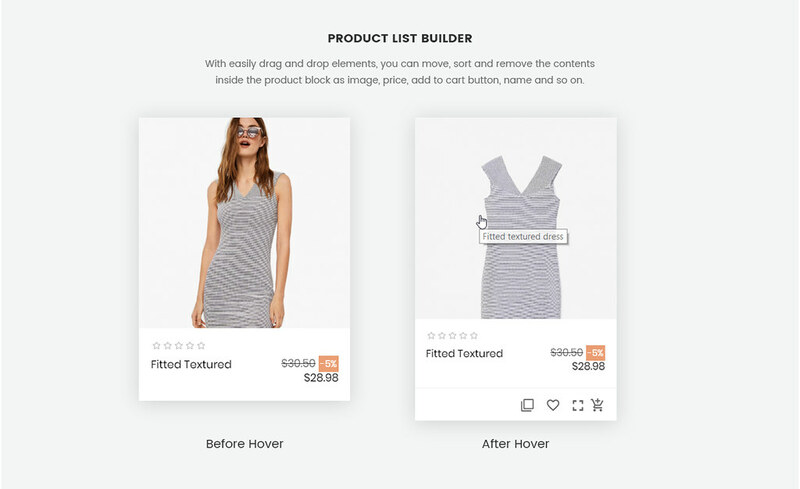 Banner, new arrival product, best seller product blocks are in neat layout, equipped with a lot of user utilities thanks to Leo Feature module like Star Rating, Add to Compare, Add to Wishlist, Add to Cart, Fly cart, Quickview, Size, Color, Quantity, etc. The Footer with social media integrated, your store’s information and payment methods to broaden your potential customer network, increase your shop’s reliability and make it convenient for the purchase of your clients. 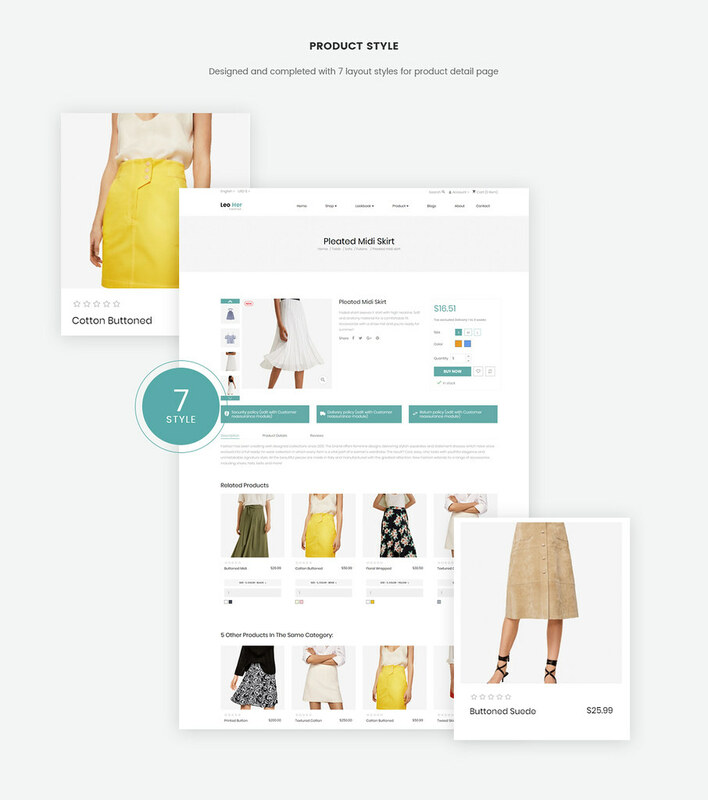 Thanks to drag and drop page builder module, Leo Her fashion theme support 7+ layouts for Product detail page to give you more choice to display your product detail to your web visitor effectively. 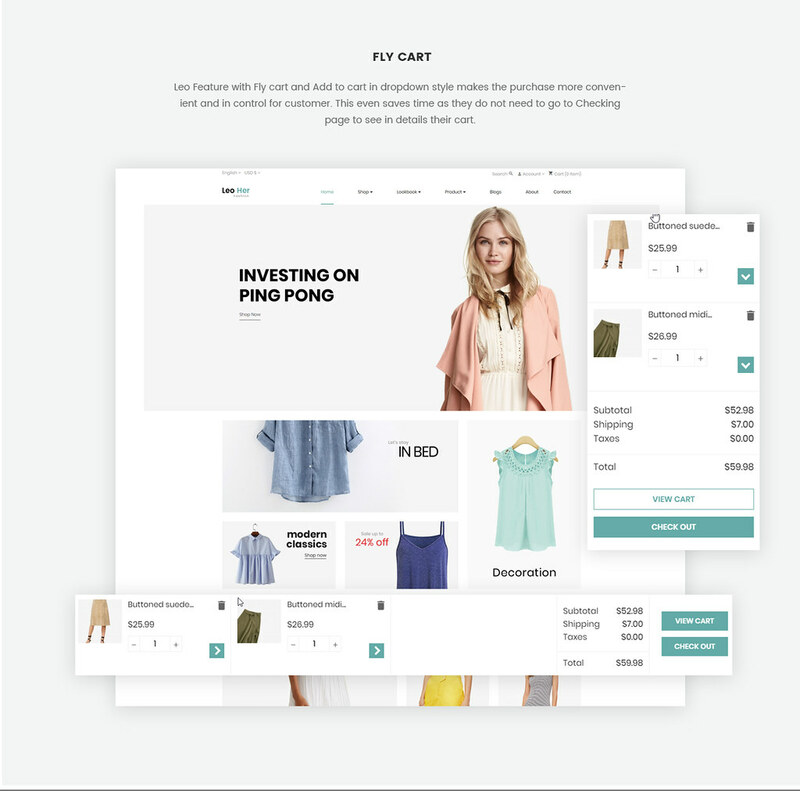 Built on the best Prestashop Framework, your site is extremely customized with ease in the Admin panel. 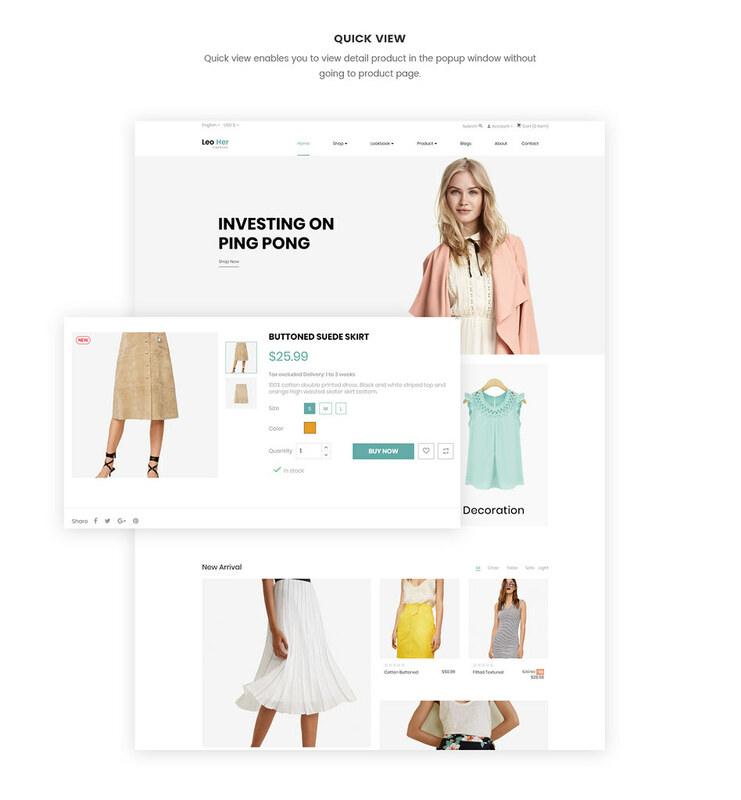 Leo Her born with advanced technologies is determined to make your site the best online shopping website for women to buy clothes. 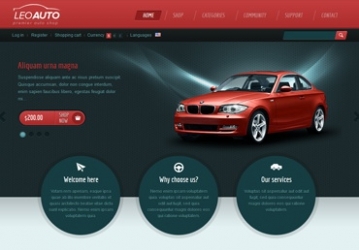 What makes Leo Her Responsive Prestashop Theme special?